DELRAY BEACH, Fla. (CBS12) — A missionary doctor from Fort Lauderdale is recovering at Delray Medical Center. Dr. Douglas Burbella was shot three times while on a missionary trip in Haiti on April 4, and he feels it’s a miracle he’s still alive. Burbella has been to Haiti about 20 times. But this latest trip was different because he nearly lost his life. 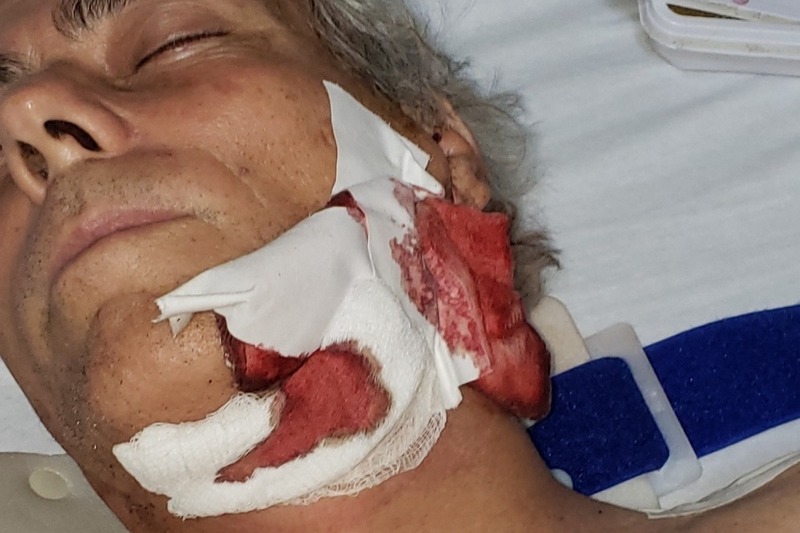 “I could see a scooter coming up and the driver of the scooter and the passenger each had a machine gun,” Burbella said while sitting in a wheelchair at Delray Medical Center. He was shot three times: in the shoulder, in the spine, and in the cheek. The 58-year-old doctor says he faked that he was dead and laid still, then he says a mystery person came up to the pickup he was in and got the gunmen to back off.